In a time when most people in our country are extremely self-centered, including many Christians, it is so wonderful to find unselfish love for God and others in a person. 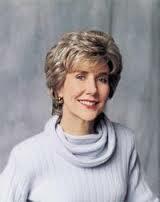 What is so amazing about Joni Eareckson Tada is that she is quadriplegic and has more reason than 99% of all other people to feel sorry for her circumstances and just live a life of taking care of herself. The modern, healthy woman with two good arms and two good legs does more complaining than thanksgiving. Women today take too much for granted. If you don’t know the story of Joni, I recommend that you pick up one of many biographies about her. You will be blessed. Joni was born to John and Margaret Eareckson in 1949. She attended high school in Baltimore, Maryland. She had all of the dreams of any average high school girl. She had great friends; one special boy friend; a good home; and she was pretty and smart. She looked forward to prom and horseback riding and camping out with her three sisters. At a swim party with friends in 1967, she injured herself in a diving accident. She lost all feeling except for her upper shoulders and head. She was left a wheelchair bound quadriplegic for the rest of her life. Joni went through many of the struggles that you might expect. She prayed for healing and was disappointed when God did not heal her. She went through bouts of depression. She courageously released several boyfriends so that they could get on with their lives without her. She was blessed however with a loving sister and a good friend who stuck by her through all of her rehabilitation. 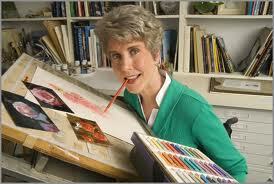 Having been gifted with an artistic ability, Joni was encouraged to take up painting again. How might she do that? With her mouth! Joni holds a paintbrush between her teeth and produces beautiful drawings and paintings that are now recognized the world over. 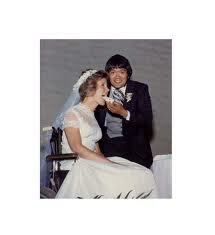 Though at times she thought that marriage was not for her, God blessed Joni with a wonderful husband, Ken Tada. They were married in 1982. Joni’s life has been an encouragement to many. Rather than waste away feeling sorry for herself, she realizes that God had something very special planned for her and she puts all of her effort into helping others who are disabled. Joni has written some best-selling books including an autobiography (Joni: The unforgettable story of a young woman’s struggle against quadriplegia & depression). There is even a full-length feature film, “Joni”, in which she has told her life story. It has been translated into 15 languages around the world. Being recognized for her work with the disabled, Joni was granted an appointment on the president’s National Council on Disability for three and a half years. It was during this time that the Americans With Disabilities Act became law. Here you will find among other things some of the ministries that Joni has founded, including Wheels for the World (which has given tens of thousands of wheelchairs to developing nations), Family Retreats, Radio Program, and Christian Institute on Disability. Consider joining or contributing to one of these ministries. In 2009, Joni signed an ecumenical statement known as the “Manhattan Declaration” that calls for Evangelicals, Catholics, and Orthodox Christians to all work together to change the laws which go against a Christian’s conscience, especially those laws that permit abortion. I personally am very thankful that someone as high profile as Joni is encouraging Christians to forget less important theological differences and work together to defend the helpless. – The Golden Word Award from the International Bible Society. Joni has been inducted into the Christian Booksellers’ Association’s Hall of Honor. In 2002, Joni received the William Ward Ayer Award for excellence from the National Religious Broadcasters’ Association. In 2010, she announced that she had been diagnosed with breast cancer. She emerged successfully from cancer surgery and as of this summer is hopeful of healing. Joni is a woman who understands that she owes God everything. She is grateful in spite of being in a wheelchair. How should we respond to this story? With so much going against her Joni has made Christ the center of her life and lives to serve Him and others. Should I not feel a little ashamed when I can’t seem to find time to pray for others? We owe our salvation to Christ alone as Joni does. God has given each of us here on earth different circumstances. I pray that we will not take our advantages for granted. May God give us hearts of love for Him and His other children like Joni’s. 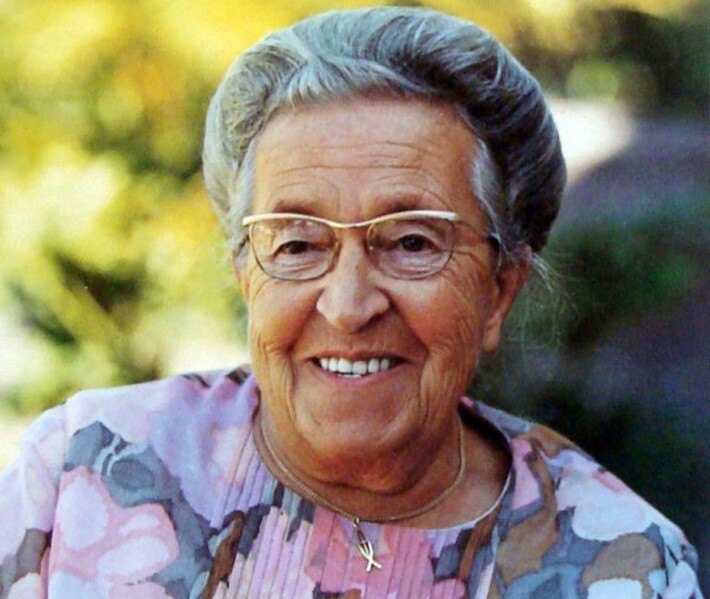 Corrie ten Boom was born and raised in Holland. She was a middle-aged woman when World War II started. If you are familiar with history you will remember that the Germans quickly took control of Holland. The Nazis were persecuting the Jews wherever they had control and this included Holland. Corrie’s family decided to help the Jews though it was against the law. They put their lives at risk for doing this. I would recommend either the book The Hiding Place (published 1971) or the movie of the same name (released 1975) for you to get the whole remarkable story of the courage of Corrie ten Boom and her family. The ten Boom’s got involved with the Dutch underground to help people escape from the Nazi’s. 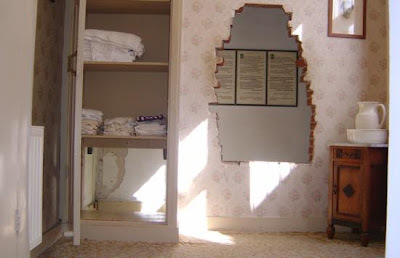 They built a secret room in their house – The Hiding Place – and hid Jews there when the Nazi’s came around for a search. The ten Boom’s were very successful and saved the lives of many people. One day in 1944 they were betrayed. Corrie, her father, Casper ten Boom, and her sister, Betsie, were all arrested. Casper ten Boom was old and ill and he died only a few days after imprisonment. Corrie and Betsie were in several prisons and eventually sent to the formidable Ravensbruck concentration camp. The guards there were very cruel. 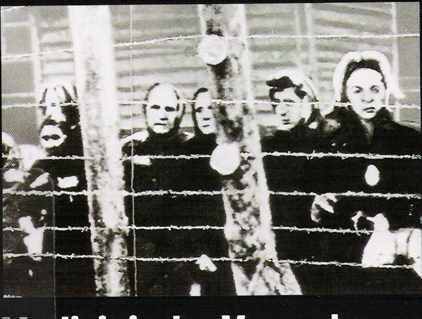 Corrie and Betsie witnessed the torture and deaths of some of the ninety-six thousand women who were put to death at just this one concentration camp. The sisters trusted God even in their violent surroundings. They started small Bible studies for the women and tried to comfort their fellow sufferers whenever they could. Their steadfast faith in God helped many of the other women try harder to survive. Betsie died shortly afterwards, only a few days before Christmas. Corrie was lonely, but she was also glad that Betsie would no longer be suffering the torture of the cruel guards. Betsie had told Corrie that they would be free before the New Year. Amazingly she was correct, but not the way Corrie had thought. Betsie was with the Lord, free from pain. Corrie was released miraculously on December 31, 1944. It seems that a clerical error of some sort had occurred and Corrie was discharged erroneously. Truly God had blessed her because only a week later women in Corrie’s age group were exterminated. In the New Year, 1945 Corrie arrived home and tried to get back to her life. Her home had become a refuge for children. She taught them and other young people. She spoke at many meetings telling of her imprisonment and God’s goodness. Soon the war was finally over and everyone in her town, Haarlem, was dancing for joy. Corrie was free now to do anything she wanted to do. She felt that God was placing a special call on her. She wanted to fulfill hers and Betsie’s dream of telling others about God’s love. Corrie began to travel around the world preaching about God’s forgiveness and the need for reconciliation. She also built homes for concentration camp survivors. She built one at Bloemendaal, turning Betsie’s dream into a reality. Corrie had a chance to put her own principles of forgiveness and reconciliation into action when she came face to face with one of her former guards from Ravensbruck. In 1947, Corrie had been speaking at a church when a man came up to her to tell her that he had accepted Christ as his savior. He thanked Corrie for her message and said that he was grateful that his sins had been forgiven. He now extended his hand to Corrie and asked her for her forgiveness. This man had been one of the especially wicked guards. Corrie and Betsie had been ordered to strip naked to be inspected by this man. There was no need for this practice other than to humiliate the women. Now as Corrie faced this man memories of that humiliation came back. Visions of the roomful of mocking men, the heaps of women’s clothes on the floor, and the pain on her gentle sister’s face came to her mind. Corrie was boiling inside. Corrie stiffened her back. When the man extended his hand she kept her own hand at her side. How could she forgive this man after all of the cruel things he had done? But she prayed, “Lord Jesus, forgive me and help me to forgive him.” Corrie tried to smile. She struggled to raise her hand but found it impossible. She prayed again for Jesus to help her. She remembered that Christ had died for this man too. How could she ask for more? “I forgive you with all my heart,” she said to the man and she meant it. Corrie moved to America in 1977. In 1978 she was paralyzed by a stroke. Corrie went to be with the Lord on April 15, 1983 on her 91st birthday. Truly Corrie ten Boom’s story is a wonderful example of Christian faith and forgiveness. If anyone would come after me, he must deny himself and take up his cross and follow me. For whoever wants to save his life will lose it, but whoever loses his life for me will find it (Matthew 19:24,25). Betty and John Stam were not afraid to lose their lives for Jesus. They had the courage of their convictions. They knew that only what’s done for Christ has lasting value. They had an understanding of eternity that is missing in our culture today. They truly had a love for the lost that we spoiled, selfish Christians in the United States today do not have. If we really believed that those who don’t know Christ would be lost forever would it change our habits? Elizabeth Scott Stam (1906-1934) had grown up in China. Her parents were long-time missionaries there and in fact were serving there when Betty was later martyred. As a young woman Betty decided that she wanted to be a missionary for life but that she needed more preparation. She went to the United States for training at the Moody Bible Institute. There she met her future husband, John Stam. At that time the China Inland Mission was only sending single men on the field. In any case, Betty was ready to go a year before John was and so she went to China first. A year later (1932) John was ready and left for Shanghai, China. After several short assignments, John and Betty were assigned to the village of Tsingteh. Though there had been some Communist activity a few miles away the Stams felt safe in this little village. The local mission authorities and the village magistrate welcomed the Stams. By this time, November 1934, little Helen Priscilla had been born to John and Betty. Only two weeks later the Stams received a knock on their door. Communist rebels had snuck past the government troops and swarmed Tsingteh. Only a handful of villagers had had time to escape. They went to hide in the hills. John and Betty bravely let the soldiers in. Betty prepared tea and biscuits (cookies) and served them to the Communists. In spite of this hospitality the officers bound John and Betty and told them to march with them to the nearby village of Miaosheo. The Stams were ordered to remove their outer garments and walk through the village in this deliberately shaming fashion. Betty knew that this meant that they were on their way to their execution. The Chinese robes that she and John were accustomed to wearing would get in the way of the executioner’s sword. At their prison in Miaosheo three-month old Helen began to cry. The soldiers wanted to kill her. A former criminal, who had just been released by the Communists, begged for her life. The Red soldiers retorted, “Then it’s your life for hers.” They hacked this man to pieces in front of the Stams. Little Helen was spared. John and Betty were led to their execution outside of the little town. They left their baby behind not knowing what would happen to her. Betty and John were bound together, standing and then told to kneel down. The executioner’s sword swung once severing John’s head from his body. Betty did not cry out but she fell over John. Moments later the executioner’s sword cleanly took off her head. Betty and John went to heaven together. What about Helen Priscilla? She had been left behind in the village with a family all wrapped up in the blankets Betty had provided for her. The local Christians had been hiding in the hills around Miaosheo. A Chinese evangelist named Mr. Lo was with them. When it seemed safe to venture into town again he hurried to find out what happened to the two missionaries. Everywhere he asked he was greeted with silence. It seems that people were afraid of Communist spies and were unwilling to risk getting reported. Finally an old woman whispered to Pastor Lo that there was a baby who had been left behind. Pastor Lo searched for her and found her. She was still alive though hungry after not eating for about two days. He took Helen Priscilla to his wife for care. In the providence of God, Mrs. Lo had had experience in a missionary hospital and knew how to care for the baby. Pastor Lo found out that the missionaries’ bodies were still on the hillside in the open. He went to them, wrapped them and placed them in coffins and saw to it that they were given a Christian burial. Helen still needed to be gotten to safety. Pastor Lo hurried home to make plans. His own son, a four-year old boy had suffered from deprivation from hiding in the hills. So Pastor Lo arranged for some men to help him and Mrs. Lo carry Helen Priscilla and his son over 100 miles to a mission hospital. At first they wondered how they would manage because no one had any money. But Betty had provided for her daughter before she went to her martyrdom. Inside the baby’s blankets were pinned two $5 bills. This was enough to pay the expenses of the trip. Helen Priscilla and Pastor Lo’s son were placed in rice baskets slung from a bamboo pole and carried on the men’s shoulders. Along the way Mrs. Lo found wet nurses to feed baby Helen. Eight days later they arrived at the mission at Suancheng. A doctor examined Helen and pronounced her in perfect health. God had blessed the baby. No doubt from Heaven Betty was smiling down on her daughter, grateful for God’s goodness. Helen Priscilla was taken to the home of her maternal grandparents, Dr. and Mrs. Scott where she lived for five years. Eventually she went to the United States for her education. Helen Priscilla took her uncle’s name in order to avoid all of the publicity surrounding her mother and father. 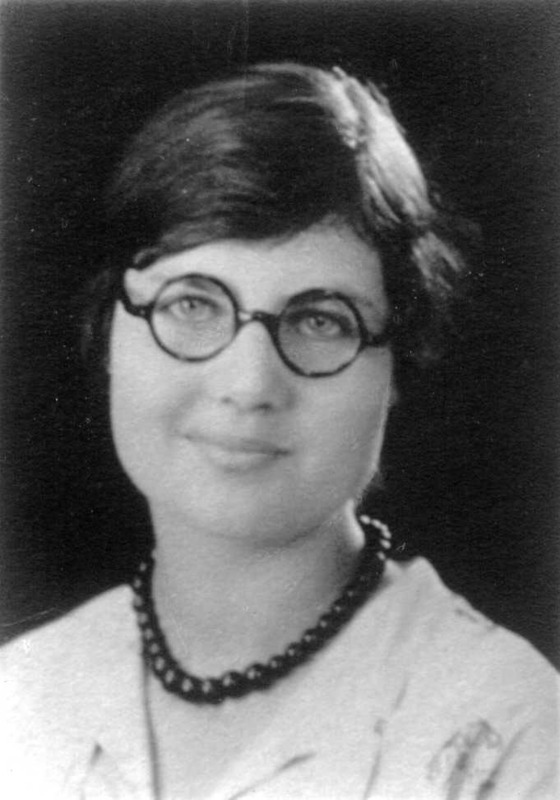 Though Betty Stam did not survive the Communist onslaught her death helped raise up a whole generation of missionaries. Sometimes we ask why God allows really bad things to happen to people. We need to keep in mind what Betty knew – people’s souls are valuable and their eternal destiny is priceless. Her own life was all she had to give to her Savior in gratitude for His redemption. She was willing to give her all so that others might hear the Gospel. What are we willing to give up to be a witness for Jesus? 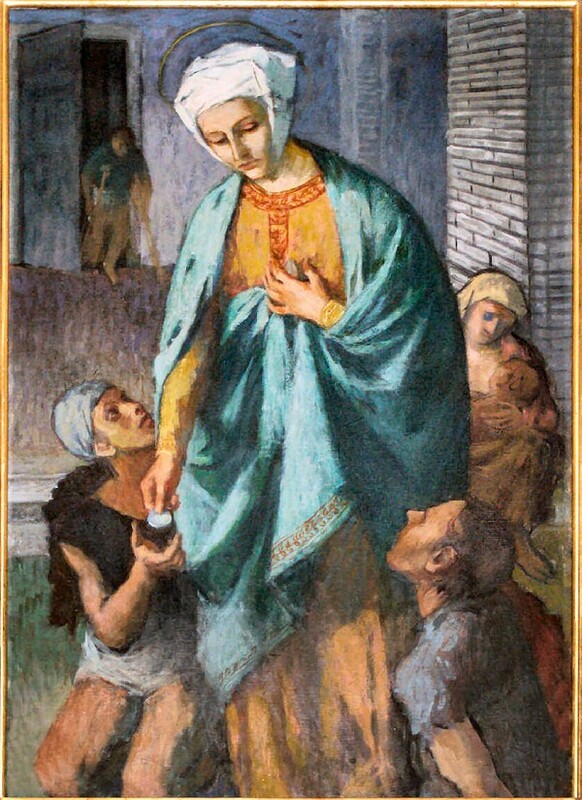 Elizabeth of Hungary (or sometimes Elizabeth of Thuringia, 1207-1231) is remembered as the “Patroness of the Poor”. Born into wealth and luxury, Elizabeth spent most of her life giving it all away. Elizabeth was betrothed to Ludwig (also known as Lewis or Luis) of Hungary when she was just four years old in 1211 AD. As was the custom in those days she went to live with her future husband’s family where the children were raised as “brother” and “sister” in court. Elizabeth and Ludwig grew very affectionate towards each other. Both were pious and pure even as children. The young prince and princess pledged fidelity to each other and both maintained it until their deaths. Her father had sent Elizabeth to Hungary with attendants and an annual income, but whatever money she had at her disposal went to the poor. For this reason she was despised by everyone else in the household – everyone that is except Ludwig. He loved her for her virtues. Elizabeth was able to put up with the persecution from spiteful courtiers because Ludwig would always console her privately. He also proved his constancy by bringing her gifts from wherever he traveled. The mostly irreligious courtiers would try hard to separate them because they didn’t like Elizabeth’s pious influence on the heir to the throne. They would have preferred someone as profligate as themselves. But Ludwig loved God and the people in his country and he would do what was right. Elizabeth and Ludwig were wed in 1221. Their marriage was very happy. Ludwig was a good ruler, magnanimous, cheerful, wise, gentle, and with one passion – justice. He encouraged Elizabeth in the distribution of food during famines. Once when Ludwig was away, Elizabeth used up all of the money in the treasury to feed the destitute in their country. Upon Ludwig’s return his stewards ran to meet him, accusing Elizabeth of bankrupting the kingdom. Ludwig’s reply showed where his heart was, “I wish you to let my good little Elizabeth give away as much as she likes; you must help and not thwart her; alms will never ruin us.” Later that day, as he was reunited with his beloved Elizabeth he asked her about the famine and how the poor were doing. She replied, “I gave to God what belonged to him, and God has kept for us what was yours and mine.” Others may have criticized Elizabeth, but Ludwig just loved her all the more. Elizabeth and Ludwig had three children: Hermann II (1222-41), Sophia (1224-84), and Gertrude (1227-97). Hermann died young. Sophia married Henry II, Duke of Brabant. She was the ancestress of many of the branches of the house of Hesse. Gertrude eventually became the abbess of the convent of Altenberg. Before she was even twenty years old, Elizabeth had built two hospitals in Eisenach and personally attended the sick with tenderness and love. She cared for many lepers when no one else would go near them. She also cared for many orphans in one of the hospitals. The little children would run to meet her when she came and sit around her. She would caress them, no matter how ragged or dirty, and give them toys. The Wartburg castle was built on a steep hill. The roads were difficult for weak or infirm to climb. Therefore Elizabeth built a hospital at the base of the hill. She would walk down to care for the poor herself. Besides the patients at the hospital, it is said that Elizabeth cared for over 900 poor persons daily. Elizabeth cared for prisoners as well. She visited them frequently and prayed with them. Sometimes she even purchased their freedom. One year when famine touched the land Elizabeth gathered all the poor together and gave them work helping with the harvest. She bought them decent clothes and new shoes so their feet wouldn’t hurt in the stubbly fields. She sold her own beautiful clothes to raise the money for these things. When Elizabeth was barely twenty years old her beloved Ludwig died. He had gone on a crusade with Emperor Frederick II and died at Otranto from an illness. Elizabeth was devastated. Ludwig was everything to her. She mourned deeply, but rose to the task of caring for their children even though her cruel in-laws tried to take away her inheritance. They expelled her and the children from their home. Elizabeth’s own relatives came to hear of her calamity and took care of her. Eventually she was reinstated. The bishop in the area felt that she was too young to live alone and kept trying to find a husband for her. Even Emperor Frederick II wished for her hand, but Elizabeth kept refusing for she had promised Ludwig that there would never be another man in her life. While Elizabeth was staying at a castle in Bottenstein, the remains of her husband were finally brought home by his faithful followers. It is said that she asked for the casket to be opened so she could look on Ludwig one last time. She kissed him and then saw to it that he was buried in the family vault of the landgraves of Thuringia in the monastery of Reinhartsbrunn. Elizabeth received her dower money – 2000 marks – but immediately gave 500 marks to the poor. Her brother-in-law, Henry, began to oversee the government as regent to her oldest son, Hermann. Henry gave Elizabeth the town of Marburg and its revenues. 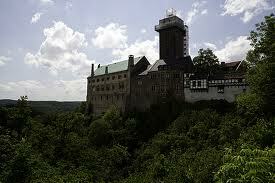 In the summer of 1228 Elizabeth built a Franciscan hospital in Marburg. Elizabeth renounced the world and went to live at a Franciscan house in Eisenach. Elizabeth became the first tertiary in Germany. A tertiary is like a nun, but does not take all of the vows. Elizabeth of course lived a life of chastity and obedience, but kept her great wealth to help the poor. She tried to fill the third vow of poverty by living like a poor person even though she was very wealthy. She stayed in a very small house and wore plain clothes. She never purchased any luxuries. She labored at spinning wool to earn extra income to give to the poor. It was said that no one would have ever known that she was a princess. Elizabeth literally wore herself out working among the poor. She died of exhaustion in 1231. She was only twenty-four years old. She was buried in the chapel attached to the hospice that she had founded. Many lepers, blind, lame, and poor came to her funeral. The hospital that Elizabeth built at Wartburg no longer exists, but the little fountain that was attached to it is still there. At this fountain Elizabeth was known to have washed the clothes of the poor with her own hands. It is still called “the Fountain of Elizabeth”. If we would only learn to love others as Elizabeth and Ludwig did we could make the world a happier place. What a sad day when the government took over and created the impersonal welfare system. Let us love one another as Jesus commanded us.